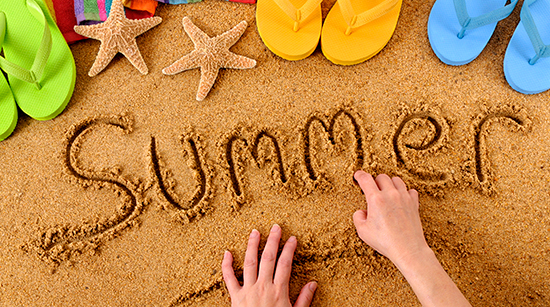 The school bell may have stopped ringing for the year, but summer vacation can still be a wonderful learning opportunity for the kids! While it is tempting for the children to spend hours watching television or playing video games, with a little ingenuity and planning, the summer months can be transformed into an opportune time to stretch the mind, explore new hobbies, learn about responsibility, and build on skills learned during the school year. 2) Clip, paste, and write about your family adventures. A family vacation is a perfect opportunity to create a trip scrapbook that will be a lasting souvenir of family adventures. Collect postcards, brochures and menus from restaurants and tourist attractions. Encourage your child to write descriptions of the places you visited and tell stories about your family’s escapades. Or suggest a scrapbook on your child’s favorite sports team or a chronicle of his year in school. The scrapbook might contain photos with captions, newspaper clippings or school mementos. 3) Turn a museum trip into an exciting treasure hunt. Get your children excited about visiting a museum by exploring the museum’s website and taking a virtual tour. When you go to a museum, take into account short attention spans and don’t try to cover a whole museum in one day. Turn your museum trip into a treasure hunt by trying to find specific paintings or objects in the museum. Look for interactive exhibits and for periods of history that your child has studied in school. Young children can make their own puppet theater by cutting off the fingertips of old gloves; draw faces on these fingers with felt tip markers and glue on yarn for hair. Your child can create their own stories or plays that the finger puppets can act out. For older children, find books containing play scripts for young people and encourage your child and friends to create their own neighborhood theater. They can plan a performance, make a simple stage at the park or on the steps of someone’s home, create playbills and sell tickets. Remember that learning is fun and can happen anytime, anywhere– not just under a schoolteacher or in the classroom. The summer months are a wonderful and unstructured period of time to try out new things and explore interests with your child that don’t necessarily fit into the school curriculum.